Lana is a great, patient driving instructor and I would highly recommend her to anyone. She's very understanding and is easy to get on with. 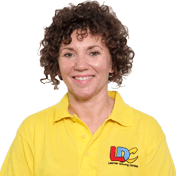 The LDC workbook and DVD meant I always had a clear indication of what I would be doing on each lesson and they were both very helpful. 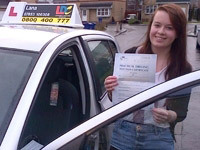 Thanks to Lana from LDC I managed to pass my test. I'm a driving instructor in Renfrew, Paisley, Linwood, Erskine, Johnstone and surrounding areas.